Emerging markets are flashing warning signs, but don’t tell that to value stocks. The MSCI Emerging Markets Index is down 19.2 percent from its recent high on Jan. 26 through Friday as investors wring their hands over tariffs, slow growth, a rising dollar and numerous other fears. To some investors’ surprise, value stocks are holding up better than growth. The MSCI Emerging Markets Value Index is down 18.3 percent, while the MSCI Emerging Markets Growth Index is down 20.1 percent. In theory, that’s not supposed to happen. Value stocks, after all, are cheaper than growth for a reason: They represent companies, and sometimes whole sectors, that have fallen on hard times or are struggling to grow — think banks and brick-and-mortar retailers. Those problems are compounded in a downturn. And as goes the business, so goes the stock. But in reality, stocks haven’t always followed that playbook, at least in the U.S. I counted 13 U.S. bear markets since 1926, as defined by a decline of 20 percent or more in the S&P 500 Index for the longest period for which numbers are available. I’m also counting the periods from September 1929 to March 1935 and from March 1937 to April 1942 as a total of two bear markets. Value, as defined by the cheapest 30 percent of large-cap U.S. stocks by price-to-book ratio, beat growth, the most expensive 30 percent, during six of those 13 bear markets, according to numbers compiled by Dartmouth professor Ken French. Value also won by an average of 16 percentage points over those six downturns, including dividends, whereas growth won by an average of 9 percentage points during the other seven. Value may have had some help. By definition, growth is always more expensive than value, but not always to the same degree. The value-weighted P/B ratio of the growth stocks has on average been 5.1 times that of the value stocks since 1926. It spiked to 12.4 times in 1935 and fell to 3.1 times in 1978, and has landed everywhere in between. Which raises the question: Does the relative valuation of growth and value influence their performance during bear markets? Or, asked another way, is value more likely to win during downturns when it’s cheaper than average relative to growth? In seven of the last 10 U.S. bear markets since 1948, the answer has been yes. The most recent two episodes are probably still fresh in investors’ minds. Growth stocks were more expensive than usual in the late 1990s, mainly because of the rich prices of dot-com stocks. The P/B ratio of growth was 7 times that of value when the bubble burst in March 2000, compared with the then long-term average of 5.1 times. During the subsequent bear market, growth declined by 50 percent from April 2000 to September 2002, while value declined by 24 percent. It was just the opposite during the 2008 financial crisis. Following years of outperformance, value was richer than usual. Growth’s P/B ratio was 3.7 times that of value when the market peaked in October 2007, and the then long-term average remained 5.1 times. Value declined by 61 percent from November 2007 to February 2009, while growth declined by 44 percent. There are two caveats here. One is that there haven’t been many bear markets over the last century, so the evidence is anecdotal. Second, valuations don’t appear to have influenced the behavior of growth and value during the three bear markets from 1926 to 1947. There are reasons to discount the results of those first two decades, however. 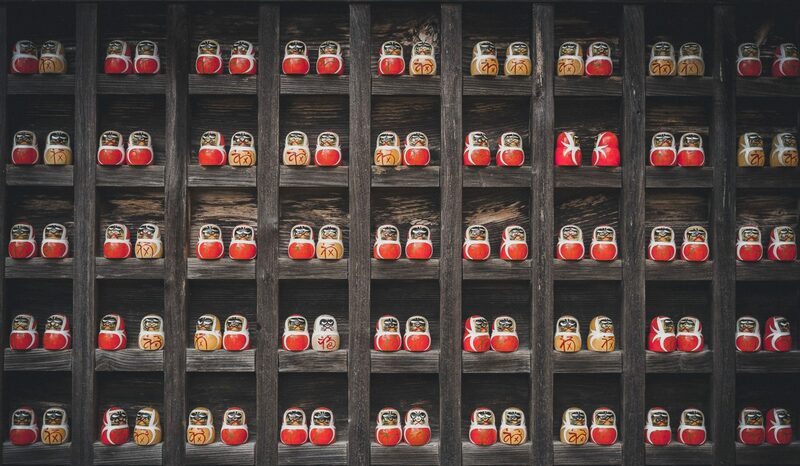 The number of stocks in the value bucket was small. So was the number of observed P/B ratios for growth and value, which makes long-term averages less stable, particularly during a wildly volatile period that included both the Roaring Twenties and the Great Depression. Which brings us back to emerging markets. The data for the EM growth and value indexes stretch back only to 1996, and the EM index has encountered just three bear markets since then. 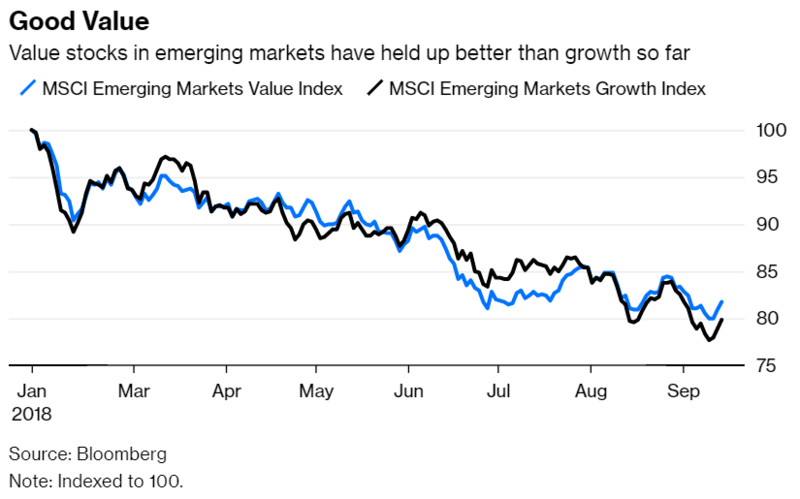 As with the U.S., the valuations of growth and value stocks in emerging markets don’t appear to have influenced their behavior over those first three downturns. But as subsequent U.S. bear markets suggest, it’s still worth paying attention to how growth and value are priced. 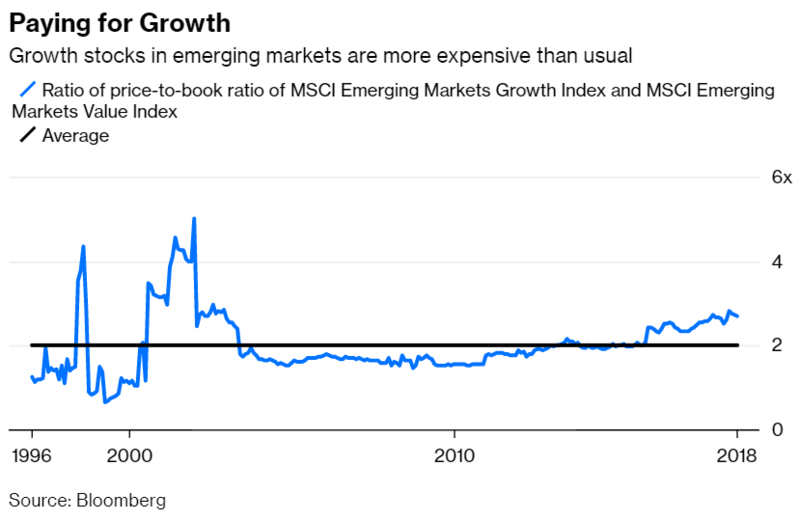 And by that measure, emerging-market growth stocks look pricey. The P/B ratio of the EM growth index was 2.7 times that of the value index when the current downturn began in January, compared with the then long-term average of 2 times. Don’t be surprised if value continues to outpace growth in emerging markets. Previous PostPrevious Who Lost the Most in the Financial Crisis? Ordinary Americans.